By buying this product you can collect up to 5 points . Your cart will total 5 points that can be converted into a voucher of 1,00 € . I think complete and balanced with salmon, for optimum feeding of our furry friend. 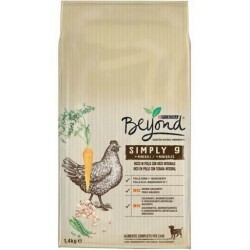 I think complete and balanced, with CHICKEN, for optimum feeding of our furry friend.